Valentine's Day, a romantic dinner, or a bridal shower are each the perfect occasion for heart-shaped treats. 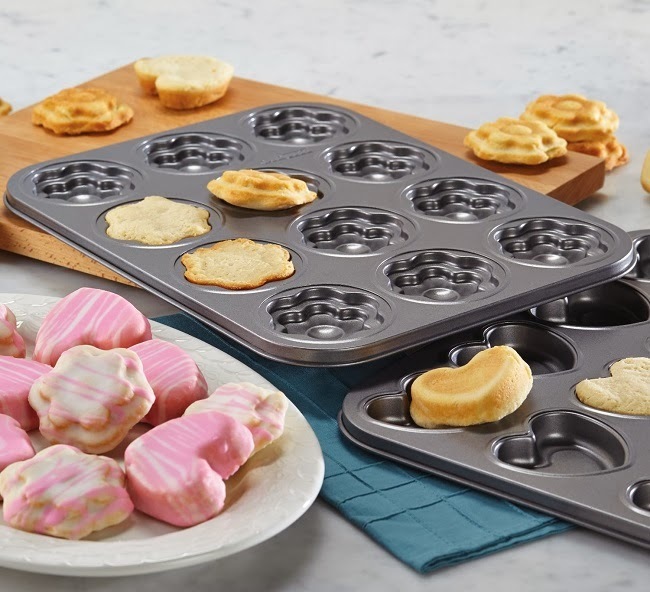 Make it an easy task with heart-shaped baking molds and heart-shaped pans. A silicone mini-heart mold is perfect for making your own heart chocolates or mini jello hearts. This beautiful heart-shaped bundt cake doesn't even need to be frosted. In fact it looks best unfrosted to show off the details in the cake. 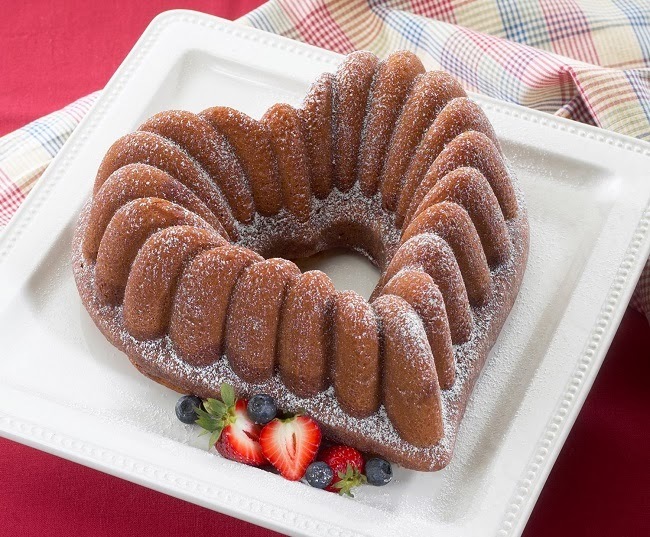 Use it with a bundt cake recipe for a special Valentine's Day or Mother's Day brunch. Top it off with powdered sugar or a tea-cake glaze. 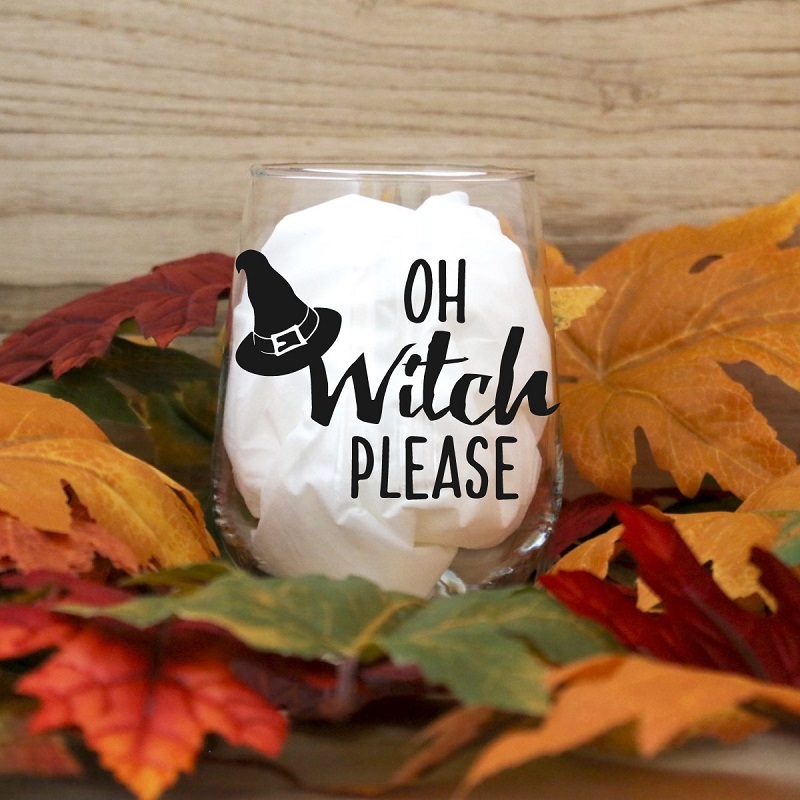 You can also fill the center with fresh fruit or chocolate-covered strawberries. 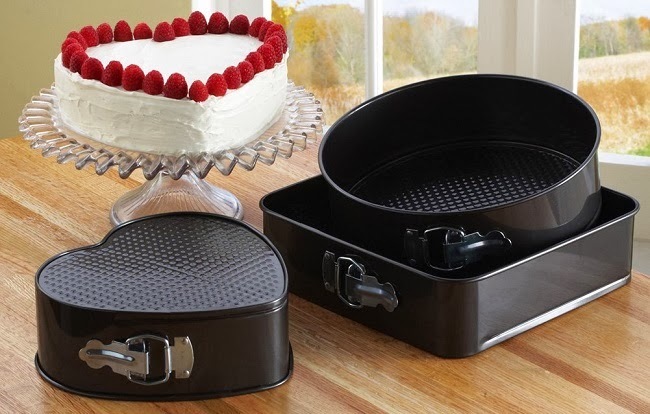 This heart-shaped cakelette pan set is best if you're entertaining for a crowd, like a Valentine's Day children's party or a bridal shower. You can use it to make plenty of heart and flower shaped mini cakes or petit fours. This last heart-shaped pan is my favorite, because it can be used to make a heart cake or a heart cheesecake. For Valentine's Day Entertaining, use it to make a giant conversation heart layer cake! The particular one I've featured is the best value because it comes with square and round spring-form pans as well. Most heart-shaped spring form pans are about $10 a piece, so this way you save around $5 total. I'm usually not into Valentine's Day... but all these posts have me excited to make it something special for my family this year. Thanks for sharing these bits of inspiration!